It’s a Saturday afternoon and you’re walking down the street looking for a place to try for lunch. Eight out of ten of the restaurants have people inside eating. The other two are completely empty. Are you more likely to go to one of the restaurants with people inside, or one of the two empty ones? If you’re like most people, you’re likely heading into one that has people in it. You’ll probably even do it without even giving it a second thought. It’s not just a coincidence that we choose the restaurant with customers in it. It has to do with a little psychological phenomenon called social proof. Social proof is the concept that people will follow the actions of the masses. The idea is that since so many other people behave in a certain way, it must be the correct behavior. Let’s go back to the restaurant example for a second. The reason you’re tempted to visit one of the restaurants with people in it instead of an empty one is because you assume the empty restaurants aren’t as good. After all, if they served good food, people would be in them, right? That’s social proof in action. 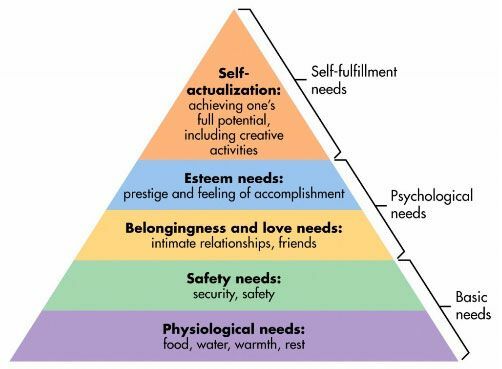 Even if the empty restaurants actually have better food and service, since more people are in the other ones, the assumption is they’re better. Social proof isn’t new. There have been several studies conducted on the topic that show people are more likely to conform to the group decision. 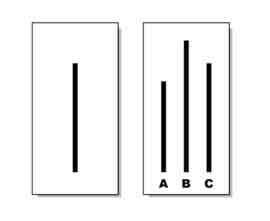 One classic example is the Solomon Asch conformity experiment that took place in 1951. Asch was a psychologist who wanted to test the theory that people are likely to conform to the choice of the majority, even if the decision is clearly wrong. They had to state which line (A,B or C) matched the target line on the left. Asch divided participants into groups of eight. However, only one of the people in each group was actually being tested. The other seven (let’s call them the insiders) agreed beforehand what their answers would be, which the real participant had no idea about. Each person had to state which line was most like the target line. The correct answer was always obvious, and the real participant went last each time. There were a total of 18 trials, and the insiders were told to give wrong answers in 12 of them. During those 12 tests, 75% of the unknowing participants conformed and gave the wrong answer at least once. In the other six trials when the insiders gave the right answer, the unknowing participant gave the wrong answer less than 1% of the time. They want to fit in with the group. They believe the group is better informed than they are. As you can imagine, social proof can be a very powerful tool for marketers when used correctly. By showcasing the popularity of your brand, products and services, you can make people more confident that you’re the right choice for them. The restaurant example we gave in the beginning shows how effective social proof can be in an offline setting. But you could argue that it’s even more important for online marketing efforts. When you’re shopping in a store, you have the ability to directly compare products and see which is better. There’s less outside influence on your decision. If you’re trying to decide between a shirt from two different brands, you can feel the quality of them and try them on to see which fits better. But when you’re shopping online, things are a bit more difficult. You almost need to rely on outside opinions to make your final decision since you don’t have the product in hand to try it yourself. Before you buy that shirt online, you look at reviews to see what other people think of the fit and quality. Even if you personally like the style of the shirt, other customers’ experience can ultimately sway your opinion since they’re more knowledgable about the product. Imagine if brick and mortar companies displayed the average review of every product they sold in stores. You’d probably shop a little differently and take other people’s reviews into account. This has actually already started happening. 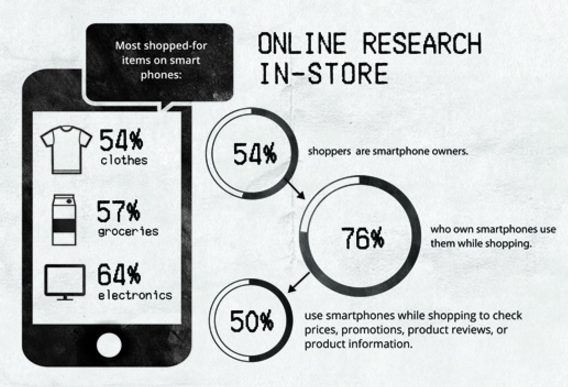 One study found that 50% of shoppers use their smartphones while shopping in stores to research products before they buy them. Now that you know why social proof is crucial for all businesses, let’s dive into how to implement it. There are a ton of different ways social proof can be used for your marketing efforts, but they all basically revolve around showing that other people like what you’re offering, so they should too. 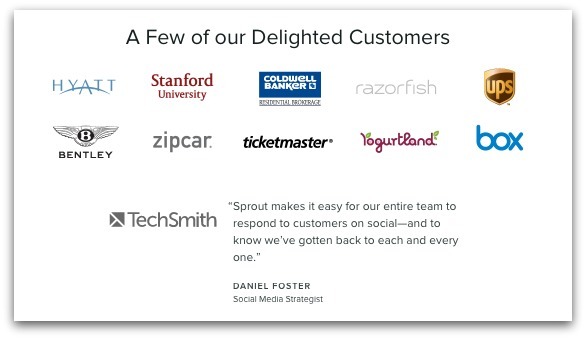 Social proof is even more powerful when it comes from someone your prospect knows. According to a Nielsen survey, 82% of Americans say they seek recommendations from friends and family before making a purchase. Ever wonder why Instagram shows you when someone you follow Likes a photo? It’s because they know the power of social proof and that if someone you follow Likes a picture, then you probably will too. Or how about when LinkedIn sends you emails with information about your connections. Sure, part of it is to update you about people in your network, but it’s also about using social proof to get you to login or even try one of their new products. Even if you don’t get to a level of personalization that Instagram and LinkedIn use, social proof still matters. A report from Minter found 70% of Americans seek out opinions from review sites or independent review sites before making purchases. Are you more likely to try a restaurant with hundreds of five-star reviews on Yelp, or the one without any? Online reviews are probably the type of social proof most of us are familiar with, and they have a major impact on buying decisions. BrightLocal found that 88% of consumers trust online reviews as much as personal recommendations. One interesting tidbit of information from BrightLocal’s survey is that people don’t just trust the first review they see. 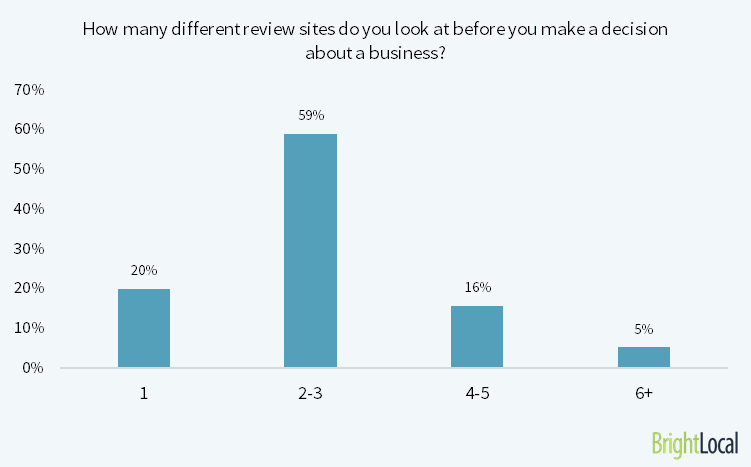 On average, consumers check 2-3 different review sites before making a decision about a business. That means that you shouldn’t put all your eggs in one basket when it comes to reviews. Try to get positive reviews on all the major sites for your industry. For local businesses that might mean Yelp, Google and FourSquare. For others like software companies, aim for positive feedback on sites like G2 Crowd. Positive reviews can be used for social proof in your marketing materials as well. If you have a five-star rating on a major review site, include it on your website or landing pages like the restaurant Agliolio does on their homepage. Adding reviews can also be very effective social proof for Ecommerce sites. Figleaves, a UK clothing retailer, added customer reviews to individual product pages and saw a 12.5% higher conversion rate on products with reviews compared to those without them. Plus, products with 20+ reviews had a 83.8% higher conversion rate than those without any reviews. Reviews can also work against you and provide negative social proof. If you have a bunch of poor reviews, it’ll do more harm than good. 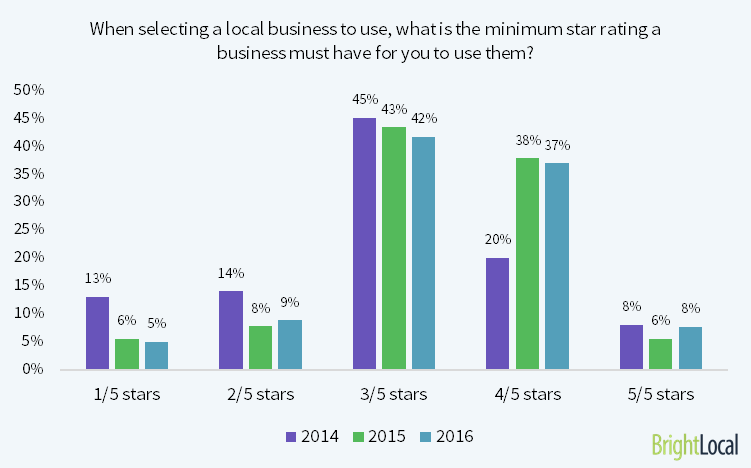 According to BrightLocal’s study, most shoppers require at least a three-star rating before they’ll consider using a company. The key takeaway here is you should strive to get as many positive reviews as possible, and don’t be afraid to show off your ratings. Just saying that your product works isn’t enough to convince people to buy it. What does compel people to pull out their wallets however, is a testimonial from someone that has used your product and had a positive experience. One industry in particular that has used testimonials for social proof for decades is health and fitness. Nearly every major successful weight loss program and fitness product you can think of used testimonials to establish credibility. Weight Watchers, Orange Theory, and even the classic Tae Bo all reached the masses thanks to testimonials from people who achieved success through their programs. So why are testimonials so effective? For one, it proves there’s some value in your product or service. For instance, Constant Contact has an entire page dedicated to testimonials from customers that have used their software and achieved results. The key to a compelling testimonial is for it to speak directly to a problem your product or service was able to solve for the customer. Just saying “I liked the product” is too broad. Notice how the Constant Contact testimonial points out specific results they saw—more engagement for their campaigns. 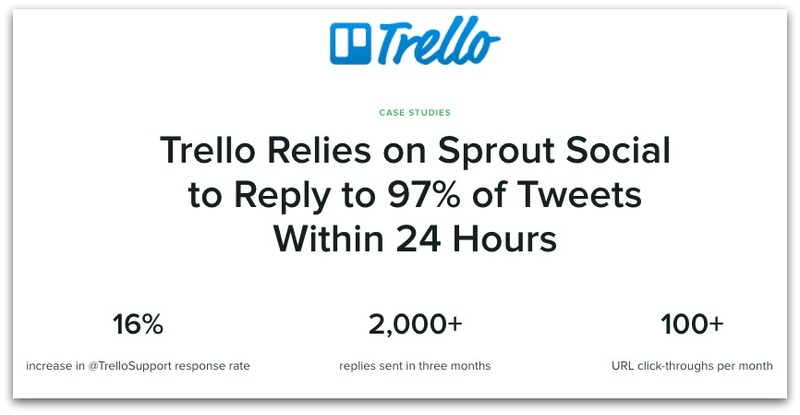 We use a similar approach with our customer case studies, like this one from Trello. Get in touch with some of your satisfied customers and see if they’re interested in giving a testimonial about your company. Or, if you’ve been reviewed by a blogger that had a great experience with your company, reach out to them and ask them to provide a few words about their experience that you can use in your marketing materials. Remember, research has shown that people trust peer recommendations over advertisements. One study showed 92% of consumers are more likely to trust non-paid recommendations than any other type of advertising. So a good testimonial can be more helpful than the most clever copywriting you can come up with. Influencer marketing was huge in 2016 and is expected to continue on that same path in the future. As we’ve already mentioned, consumers trust earned media and public opinion more than brands themselves. So it makes sense that they’d trust the word of people with influence as well. Influencer marketing is also very profitable. Businesses are averaging $6.50 for every $1 spent on influencer marketing, with the top 13% earning $20 or more. Twitter users have a 5.2 times increase in purchase intent after seeing promotional content from influencers. 49% of of users rely on recommendations from Influencers on Twitter. 40% of people say they’ve purchased a product online after seeing it used by an influencer on social media. Content from influencers earns more than 8 times the engagement rate of content shared directly from brands. 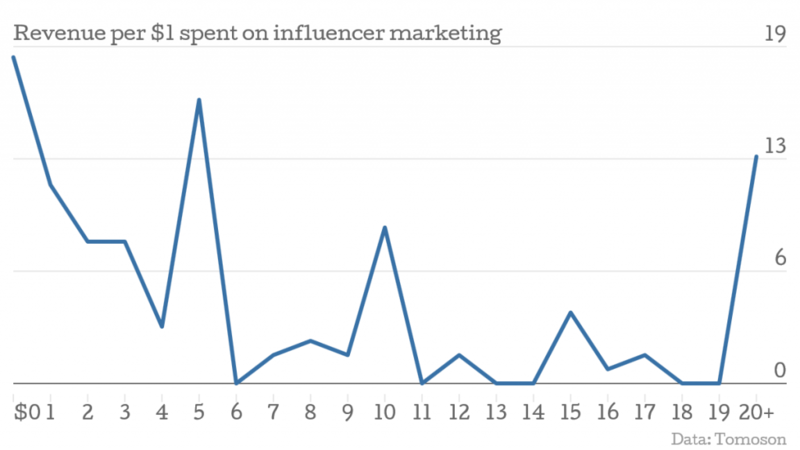 The best part about influencer marketing is that it’s not terribly difficult to do. Remember, influencers could be someone with a very active social media following, a celebrity, an industry expert or anyone else that has influence over a group people you’re trying to reach. Something important to keep in mind is you want to find the right match. That means knowing your audience. If your demographic is senior citizens getting ready for retirement, teaming up with the latest teenage YouTube star might not be the best fit. 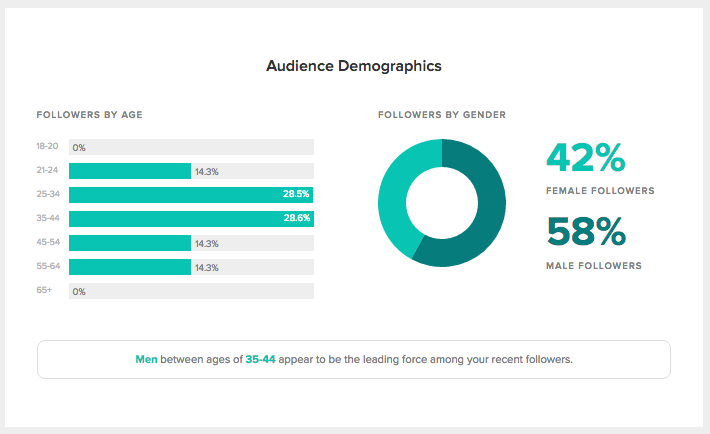 If you’re unsure of who your audience is on social, you can use Sprout’s demographics report to see a breakdown of your followers. Social proof is more effective if it comes from someone your audience trusts. So find an influencer that your target audience knows, likes and trusts, then figure out how you can work together. It could be through mentioning your brand in an Instagram post, reviewing your product on their website or writing an endorsement you can use on your site. Check out our guide to influencer marketing for more tips on how to put together your campaign. While your business definitely shouldn’t rely on your number of social media followers as the ultimate measure of success, follower count can be be a form of social proof. People like to follow the crowd—it’s the natural herd mentality. Basically, when people see there are a large group of people doing something, they’re more likely to join in. Entrepreneur Derek Sivers did a very popular Ted Talk about how to start a movement. In it he mentions a study featuring a guy dancing by himself in the park. Then eventually one person joins him, then another and so forth. It creates a snowball effect and more people join in. The big takeaway in regards to social proof and follower count is that people feel safer jumping on board when they see more people have joined in. Here’s another example from the folks at Appsumo. While building up their Instagram following, they pointed out that it was much more difficult to go from 0-10K follower than it was from 10K-20K. Having followers just for the sake of having them doesn’t really matter. This is the reason why a lot of marketers say businesses shouldn’t stress follower counts. Obviously you don’t want to just buy a bunch of fake followers to give the illusion of social proof. Focus on building a genuine following and you’ll be able to reap the benefits that come along with having an engaged audience. Would you be more likely to order from the restaurant that has served billions of customers, or one that has served a couple hundred? 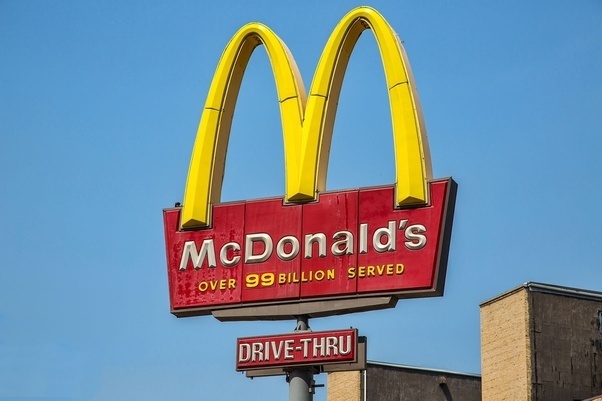 McDonald’s bet that it would be the former, which is why they started putting messages like “Over 9 billion served” on their golden arches. People want to belong to a group. 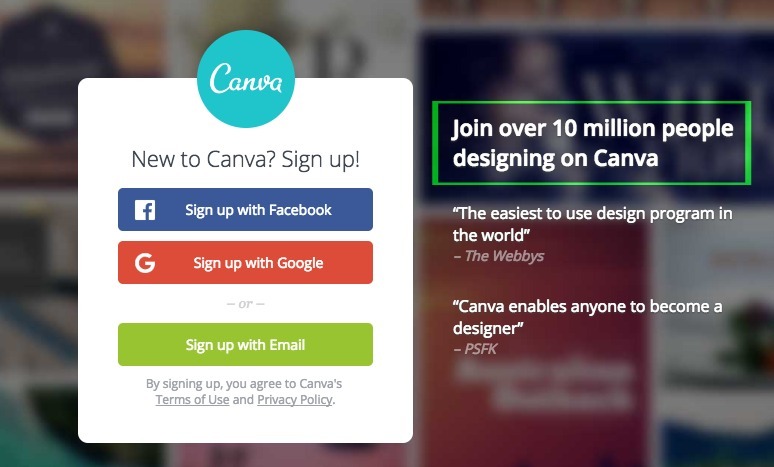 And again, we have that herd mentality that pushes us to want to join the larger crowd.You can easily add user stats into your marketing material like Canva does on their home page. Notice how they’re not just saying “we have 10 millions users.” They’re inviting people to join the 10 million users, which creates the feeling of belonging to a community. Another way you can use this tactic is by pointing out any popular brands that use your product or service. You can do this by adding logos like we do on our very own homepage. If you go this route, make sure you’re pointing out brands your audience is likely to recognize. It’ll have a bigger impact and give you more validity. Adding logos from customers for social proof is part of the strategy Voices.com used to increase conversions by 400%. People want to buy from brands they can trust. But sometimes just saying you’re trustworthy isn’t enough. Having evidence to support you is much more convincing. That’s why awards and recognition are great forms of social proof. In a way, awards validate your brand because they come from a third party that has given you a stamp of approval. The more prestigious and recognizable the source of your award is, the more valuable it will be to list it on your site. Former ecommerce company Bag Servant ran a test to see if adding one of the awards they won to the top of their shopping pages would result in better conversions. The control version included a button to follow them on Twitter, along with their follower count. The variation replaced that with a WOW badge, which was an award received from a well known business woman. The variation beat out the control version with over 90% statistical confidence in all three goals they tested. Another way to show prominence outside of just listing awards you’ve won is to mention websites you’ve been featured in like Search Engine Journal does at the bottom of their website. If your company has been mentioned in well known media outlets, mentioning it on your site can make a great first impression on people just discovering you. 7. Do Social Shares Equal Social Proof? Adding social buttons on your website seems like a logical way to add social proof. However, it could can also backfire in certain situations. Database management company Calpont did some testing to see whether having social sharing buttons helped or hurt their conversions. Originally, the company placed social sharing buttons in three locations, the top, side and bottom of each page. Their test concluded that removing the social sharing buttons from the top resulted in higher conversions. Why was there such a difference from this one change? Well, CalPont’s content didn’t have many social shares. Most of the content had less than five Facebook shares. So the low numbers featured prominently at the top of each page turned people off. Instead of listing your social share buttons at the top, place them on the side of the page so that they’re usable and not the focus of the page. As you can see, social proof can work wonders for increasing your conversions. Try out the tactics above and see what type of results you can achieve.